The first SMS (Short Message Service) text was sent by Neil Papworth using the Vodafone GSM network in the United Kingdom on 3 December 1992. Initial growth in texting popularity was slow with an average of 0.4 messages per GSM customer per month in 1995. However, uptake went exponential in the noughties and by 2010 there were 6.1 trillion (6.1 × 1012) SMS text messages sent wordwide. Currently there are 96 billion text messages every day in the UK and SMS volumes continue to grow but have been throttled significantly with the rise of smartphones. Mobile data enables rich-text communication (with emojis, pictures, animations and videos) in apps like WhatsApp, WeChat, Line, and Facebook Messenger. Interestingly Twitter borrowed the SMS character limit of 140 characters when launched in 2006 but has recently left that limit behind, much like texting is being left behind by messenger apps. 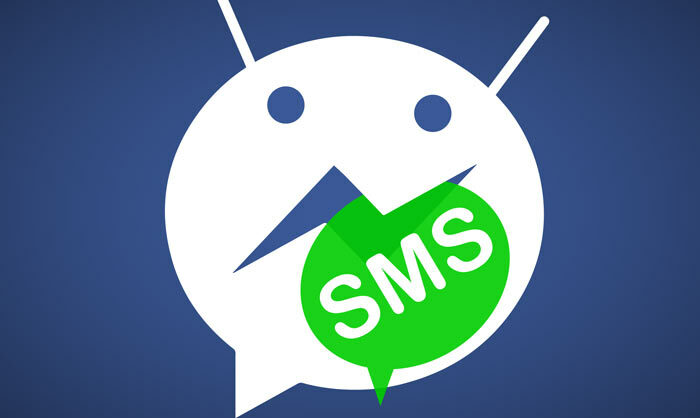 There are a couple of positives that SMS has over messenger apps, for now. First of all texting requires only a brief whiff of a 2G GSM connection to send/receive messages (however some countries have or are planning to switch off 2G). Secondly, at least here in the UK, most SIMs come with unlimited text but limited data allowances which can get used up before they are replenished. Today HEXUS got an email from Global Data about the average monthly mobile data usage statistics it had gathered. The headline news was that "Average monthly mobile data usage in Europe will be 2.4GB per SIM card in 2017, largely due to big disparities among different European countries". The disparity mentioned is between a number of countries with widespread unlimited data packages on offer, while various other European nations are rather stingy with the GBs. 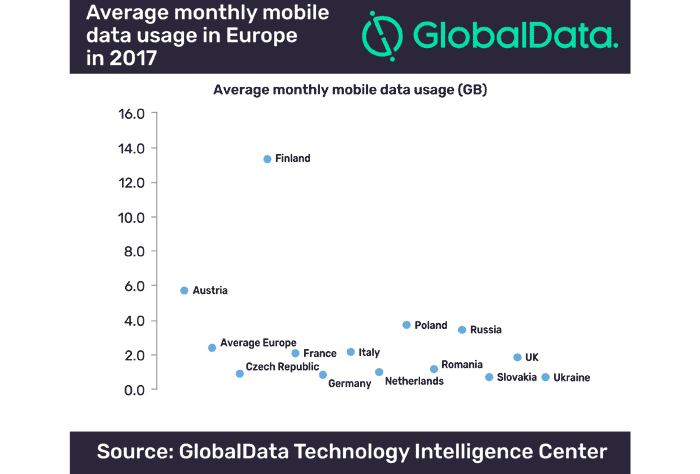 In particular it is noted that Finland, Austria, Poland and Russia residents eat up lots of data - an average 13.3GB per SIM per month in Finland for example. Meanwhile in the Czech Republic, Germany, Slovakia and Ukraine users on average stay below 1GB per month. Here in the UK in 2017 our average data use will be 1.98GB per month in 2017 expects Global Data. However, the UK's average is diluted by a large number of installed M2M SIM cards (average 291MB data usage per month) otherwise our average consumption would be 2.8GB. Despite these average usage figures, on the recent Black Friday I noticed lots of mobile phone contracts being sold with 500MB of data per month. Phone box? Phone box? - you had it lucky lad, when I was a lad, we were lucky to get a piece of wet string and two tin can! 25? I'm sure I haven't done that many?? Maybe 15.